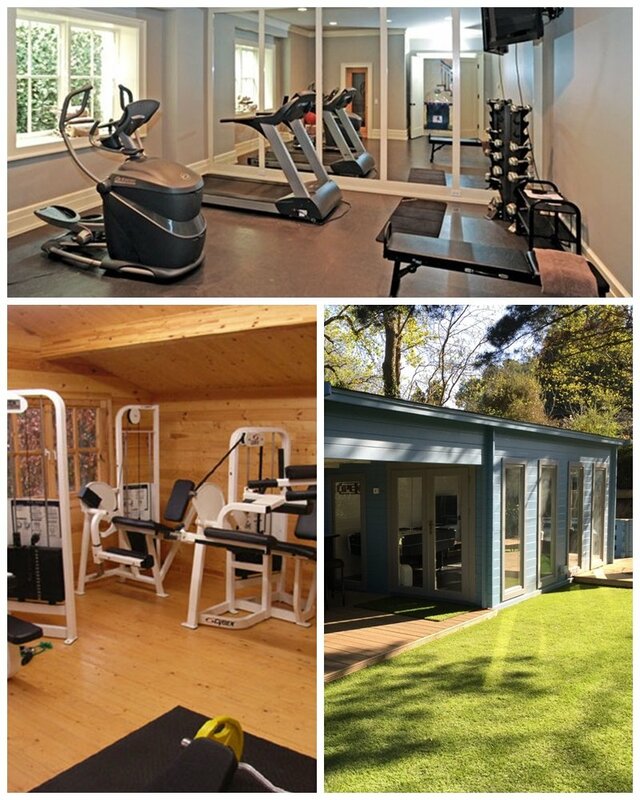 Our bespoke log cabins are the perfect solution for your home gym. Many people who train and keep fit are looking for a home based solution to their needs. Using our free bespoke design service, we will help you create the perfect home log cabin gym set up, exactly to your specification! Our cabins are cool in summer, and warm in winter, so you can train whenever, and however you like. Home Gyms are time-efficient. No more waiting for the equipment to get free. No more driving back & forth to the gym several times a week. Reduce membership expenses. You can get your investment back within 2-3 years. Our bespoke log cabin design service means you have total control over the size and layout of your home gym. Price will be dependent upon which Cabin you choose for your Home Gymnasium. This customer had a Home Gymnasium Cabin installed by Creative Living Cabins. We wanted a particular layout, so we could fit the equipment and power racks in just how we wanted them. The design was created to meet our needs and everything went like clockwork. This cabin has a quality feel about it. Everything was made to measure and fits into our garden perfectly. We chose Creative Living Cabins because they offered the bespoke design service, at no extra cost, which we thought was amazing. We were looking for something very specific and we were not disappointed. Many thanks to the installation team also, who did an incredible job. Stephanie & Martin, Surbiton, Surrey. I just wanted to drop you a line to say a huge Thank You to you and our team for our BRILLIANT new cabin. It looks absolutely fantastic. It looks so good in its spot and it is going to be so well used - we absolutely LOVE it!! The guys who installed it were also brilliant - despite the SCORCHING sunshine. Please pass on my thanks to everyone involved. I just wanted to drop you a quick line to express our satisfaction on the entire service we have received from you and your installation team. The value for money is exceptional. Your fitting team are outstanding. Their work is faultless. They are courteous, professional and a credit to Creative Living. The cabin is very well made. The quality of the timber and the accuracy of the machining are very good. The cabin took approx 2 days to build despite appalling weather conditions. The installers were quick, efficient and kept mess to an absolute minimum. Overall I have to say that I am extremely pleased with the result and will certainly recommend Creative Living.